The EMR lauded for its effective information capture and effortless dissemination has certainly impacted the healthcare sector. The improved productivity and output are just initial benefits the healthcare sector can derive from EMR. Through proper utilization, EMR enables physicians to contribute much more significantly with its information architecture and data mining capabilities. However while it has a lot of potential, EMR also poses a difficult task securing and protecting sensitive information. With nearly 70% of hospitals and care centers already utilizing EMR, there is an increasing concern for security and safety of patient health records. With medical records being deemed personal property of patients, a security breach can be disastrous. The HITECH act prioritizes health IT security and the ONC is dedicated in making electronic health information as secure as technically and humanly feasible. With multiple compliance bodies already established to initiate and dictate portability protocols, it is clear that the HIT industry understands the significance of the change EMR has brought. 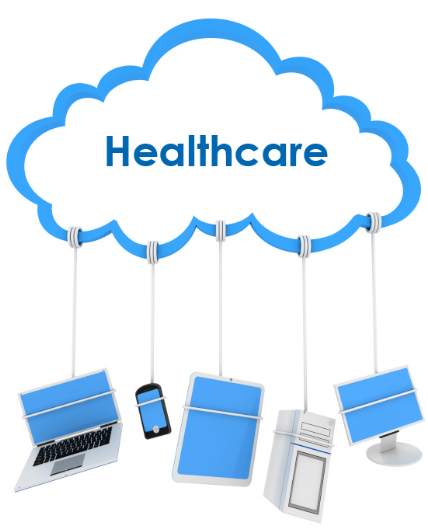 Protecting personal health information is vital for both vendors and medical practices. Many cloud based EMR vendors offer intensive security features such as intricate encryptions, remote storage and backups in case of disaster or system failure. Hospitals have also begun training staff on issues such as potential security breaches and the ethical responsibilities they carry as a part of the healthcare community. Issues such as misuse of personal information or unauthorized access can be resolved by highlighting risks and responsibilities. This can also be achieved through role based access control. It’s common for EHR vendors to provide pre-established accessibility levels for defined roles. Whilst digital information is thought to be more prone to electronic breach or failure; what is surprising are the numbers of reported physical security breaches for electronic health information. Approximately 80 percent of records lost in the last 5 years were the result of hard drives, laptops, and other storage devices that disappeared. Interestingly only 10 percent of health care information breaches resulted from hacking or Internet crime. It’s imperative that every practice should ensure utmost diligence and dedication through processes and staff to protect and safeguard the patient’s privacy and health information. Therefore, Cloud based systems are a much better choice with offsite storage, back-up and other advance security features, which a small practice just might not be able to afford. Protecting your patient information is as vital as protecting a life. 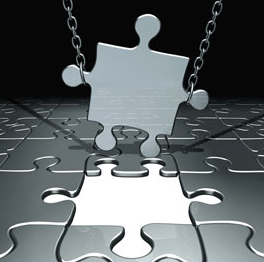 Let’s get this clear, implementing EMR in your practice changes your workflow significantly. I have always been a huge supporter of the EMR technology and yes it does improve your practice productivity; but however significant the gain may be, the key beneficiary will always be the end consumer – the patient. All medical technology breakthroughs; be it an advanced CT scanner, sophisticated medical tools or just a mobile application that measures pulse, ensure nothing but improved care delivery. Information is vital in medicine and thus most of the developments in medical science seek to empower physicians through quality information, simplifying decision making and improving care. The EMR assists physicians in a similar fashion. With built-in interaction checks and reduced clinical errors, physicians are able to deliver the highest quality care backed by quality information. 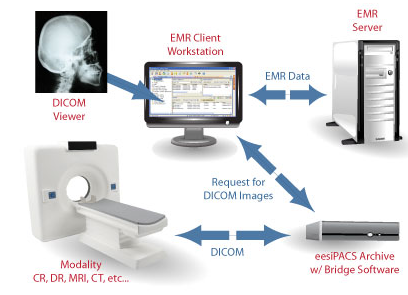 However, EMR adds new dynamics to clinical workflow. Most providers are still in the process of getting used to creating notes in an electronic template instead of a notepad, which leads to patients feeling left out as an engrossed physician types on his computer, facing a screen instead of the patient. However, many physicians have now found a way to work around this. Pre-configured notes pull all the relevant clinical information of each patient helping the doctor spend less time inputting this information again and utilize this time to interact with their patients. Dictation is another popular way of documenting clinical encounters, with many EMR vendors providing transcription services. 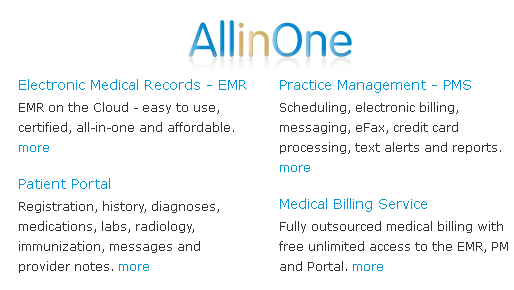 The providers can simply speak record and have their notes transcribed in reportable format. Most physicians can manage an interaction better after some time of usage. However an EMR does change the way you work and it is bound to reflect across your workplace, your demeanor and your personal interaction with the patient. In a few years, EMR may end up influencing new norms of behavior and professional conduct. Many physicians have already started educating their patients on the benefits of such systems and how this would inevitably reduce clinical errors to enhance the quality of care. After all, patients are the direct beneficiaries of your EMR investment. 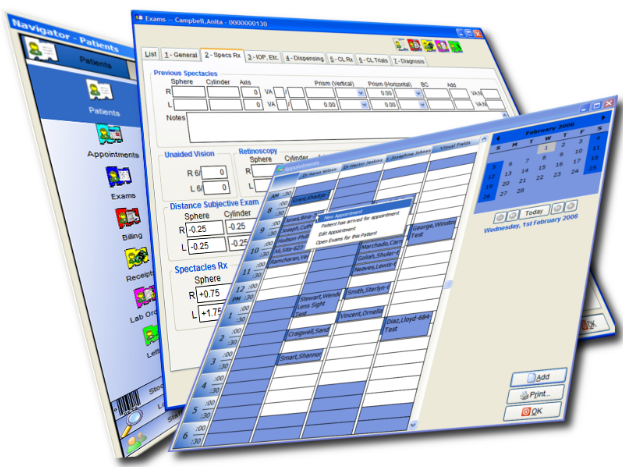 Practice management software is designed to deal with day to day operations of a medical practice. These typically include features like appointment scheduling, entering patient demographics, electronic medical billing along with financial and administrative reporting. A complete Practice Management solution allows administrative users to store information for patients such as referring providers, insurance and benefit details, preferred pharmacies and important contacts. It improves efficiency by eliminating paper while streamlining practice workflow, task and resource allocation for higher productivity. While both EMR and PMS have been around for some time now, physicians have been generally more positive towards implementing the practice management solution for resource allocation and patient management. Another key benefit of a practice management solution is to reduce the level of stress among the staff. Tasks can be allocated to various users in the practice and role based access allows the user to update the status of each task once complete. These days, practices usually prefer to have both practice management and EMR integrated into one system for complete clinical and administrative control. However, Practice Management software and EMR integration has been one of the challenges for providers with existing systems. They now face the dilemma of not only finding a suitable EMR to fit their practice requirements but also ensure interoperability with their existing Practice Management solution. Many established EMR vendors do not provide an integrated PMS, which is partly the reason that providers end up incurring additional cost and interoperability issues. An office manager of a reputable practice in New York exclaimed that it was extremely difficult to manage two separate systems for clinical and administrative work. “It’s a nightmare honestly. You have to manage data for two systems. It’s not efficient and I am not happy.” she said. A comprehensive EMR and Practice Management system can significantly change the way practices operate. Vendors have now started to design integrated systems to enable a seamless transition from the front desk to the clinician’s exam room and then to the back office for billing. Given the rise in providers seeking an EMR solution, it is pivotal not to overlook the importance of an integrated Practice Management system. Choose wisely because the right “All-in-One” solution will save you a lot of cost and hassle. EMR – The Red Pill or the Blue Pill? Backed by the government initiative, Healthcare in the US is currently focused on achieving medical practice automation and standardization of clinical workflow. With improved EMR adoption rates being reflected in recent surveys, the government believes that by the end of 2014, every American would have effectively shifted to electronic medical records. 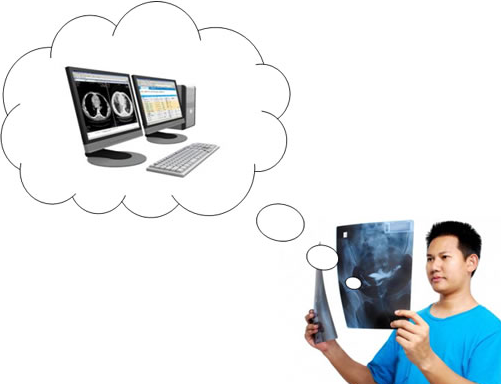 Alas, there is still skepticism surrounding EMR and the benefits it may yield. Physicians have been working using patient files for a while now and they have become efficient in utilizing the system, be it obsolete. This is partly the reason why many physicians may still find the need for electronic medical records unwarranted. “Doctors are not against adopting technology, they just fear the disconnection EMR may cause between the patients and themselves,” explains a New Jersey based physician. With consistent innovation in Healthcare IT, EMR too have come a long way. Customizable preassembled SOAP templates not only reduce the hassle of paper charting, but also decrease documentation time significantly. 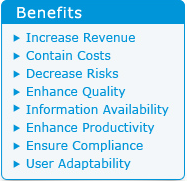 The benefits of utilizing electronic medical records are undeniable. EMR systems are effectively creating a healthcare network, enabling consistent care opportunity and improved interaction. This would create one central point of care for patients, targeting both patient ease and improved care delivery. EHR also benefits a physician by reducing unnecessary workload and clinical errors. Systems now feature built-in alerts to provide a safety check for various interactions (drug-drug, drug-diagnosis, drug-allergy) and cross checks against patient’s past medical history whilst operations are streamlined in accordance with medical standards and best practices of the highest quality. This along with associated cost benefits of eliminating paper storage definitely adds to the appeal of bringing the medical practice into the 21st century. With that said, the real obstacle is not to garner technology trust, but in fact to reduce the fear of change. Many practitioners are now realizing the importance of EMR for positive healthcare development. The opinions may continue to vary but there is growing consensus amongst the majority of clinicians that EMR is paving the pathway for the future of affordable, accountable and accessible care delivery. In my time researching Healthcare Technology, the most significant change has been brought on by the government backing of electronic medical records and electronic data interchange to enable consistent, quality care for patients across the nation. In a bid to improve overall health infrastructure and patient care, the government has deployed quality measures in the form of meaningful use objectives, citing physicians to work in a systematic way with an opportunity to yield monetary benefits. Whilst definitely influential, CMS incentive payments have not proven to be the driving force behind EMR adoption. This is mainly attributable to the alienation of physicians towards workflow changes brought on by EMR and the cost of such a solution. 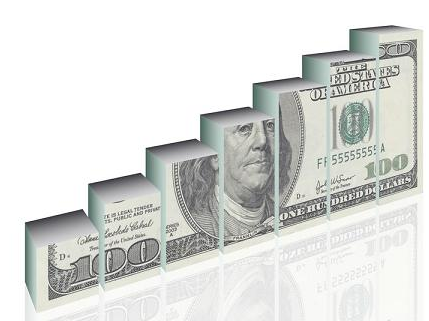 CMS reported paying out $3.1billion in incentive payments to approximately 43000 physicians earlier this year. “$21750 is a lot of money for a small practice, in this period of economic recession and increasingly low returns, this can make a difference.” says an Orlando based physician, currently attesting for meaningful use. Highland Park Medical a small five physician practice in NJ, received $90,000 in incentive payments after attesting and reporting for Meaningful Use. While I may not be a physician, I can’t seem to think of this as anything but an investment opportunity. 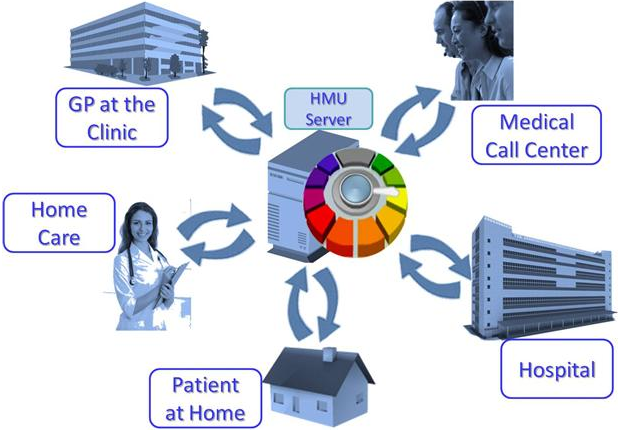 EMR is the future of healthcare, with abundant proven benefits including reduced costs through elimination of paper. Add further financial incentives and the EMR would be practically paying for itself. I understand that making such a transition can be daunting for physicians, who have been utilizing the paper record filing method throughout their professional lives. However, EHR has come a long way now, with many established vendors now providing customizable specialty specific systems to aid providers whilst consistently improving usability. Top CCHIT certified EMR are now available for as low as $395/month with free training, hosting, support, maintenance, upgrades, security and backup. With the Cloud based models holding the door open for the small practices, finding the right fit is only a matter of time. If the administrative and clinical benefits alone cannot sway the EMR critics, a check worth $21,750 certainly can. EMR has come a long way thanks to user feedback backed by consistent improvement in quality. The modern day EMR provides all tools necessary for a physician to provide quality care to their patients. However as the Electronic Medical Records market steadily grows, competition dynamics change with it. With significant growth in the HIT sector, there have been numerous new entrants bringing in new competitive strengths or target niche. With over 400 EHR vendors in the US market, remaining competitive in this technology driven industry is no walk in the park. Vendors are continually required to embrace new technology and evolve in accordance with market demand and changing regulations. The result is increasing research and development cost that forces these vendors to find ways to reduce cost by outsourcing their electronic medical records support department in search of a cheaper alternative. Whilst the purpose may be to drive better quality and results, outsourcing this vital component to an external party makes client satisfaction nigh impossible. “It was a nightmare utilizing the support as it was outsourced to a foreign country. English definitely wasn’t the guy’s first language. How are you supposed to get help, when the other person cannot even understand me? This is definitely not problem solving.”, says an annoyed customer of a top EMR vendor. Customer support is an important part of SaaS based EHR and while outsourcing may provide a cheap alternative, the quality lost as the part of the service is a hefty price to pay. Experience and Product Knowledge – A hardened veteran team with technical knowledge about the product and years of experience in dealing with application problems and issues can significantly save the provider time whilst effectively resolving a problem. Language – Language barriers can cause a lot of hurdles and create frustration hence local support should be preferred, but in case your vendor chooses to provide an international support, communication quality should be adhered to. Support Size – Another issue EHR users face is the wait time. With larger user networks and inadequate support resource, larger vendors face this problem more often. Availability – If in a different time zone, it is important to inquire about the hours of availability of the support team. Reliable support has a direct impact on your practice operations, hence should be not be ignored in your decision making process when selecting an EMR vendor. Most of us are familiar with the impact of EMR in the US Healthcare sector; with the introduction of the incentives under the ARRA, US has seen significant growth in the health IT sector with the anticipated adoption compound growth rate at 10% in North America alone and with a year end projection of 40% for Hospital based EMR Adoption which in turn is expected to be close to 62% by the end of 2013. This overwhelming as it might be is still not completely reflective of the saturated healthcare points in the US, including single providers and private practices. An ongoing research by SK&A, a health care information company included a breakdown of practice adoption rate, based on provider numbers, including a growth rate comparison based on last year numbers. With these numbers representing the US, the idea of studying the global impact of EMR technology seemed very intriguing. Accenture conducted a research in August of 2010 which included an overview of international markets and impact of Healthcare IT all over the globe. According to a survey conducted by Accenture 71% of EMR vendors believe that the government funding is the major factor in perpetuating such growth levels. A lot of governments are now dedicating budgets for the health IT development and adoption; the Australian government announced a $467million national e-health initiative to link EMR systems and health IT applications across the country; whereas healthcare IT budget for UK, Japan and Germany currently lies at $1.6 Billion, $1.5 Billion and $1.0 Billion respectively, followed by Spain, France, Nordics and Canada at $0.6 Billion each. 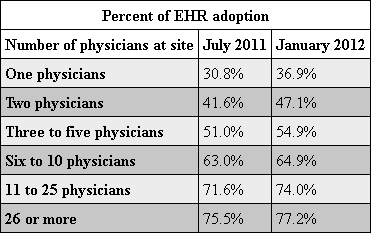 The leaders in overall adoption rate are the Nordic countries (Denmark, Norway, Switzerland and Finland) with the current adoption rate close to 90% for Hospital based EHR adoption. Following them are Spain and Australia, with projected rates of 83% and 78% respectively for the yearend 2013. In the UK, most of the Hospitals are re-evaluating their EMR strategy following an attempt by NHS for standardizing solutions; with the adoption rate currently being projected at 73% for the yearend 2013. UK currently is also being regarded as the most profitable market for EHR vendors, in lieu of the growth spur for cloud based EMR and other Healthcare IT solutions. Healthcare IT sectors for Canada and Japan and European countries like France and Germany show consistent growth despite less funding from the government. High volume growth is expected from India and China preceding growth normalization in the West. The global adoption rate for Electronic Medical Records is currently termed as “optimistic”, with the world Healthcare generally being focused on; it wouldn’t come as a surprise if our next generation may never experience paper medical workflow and documentation.